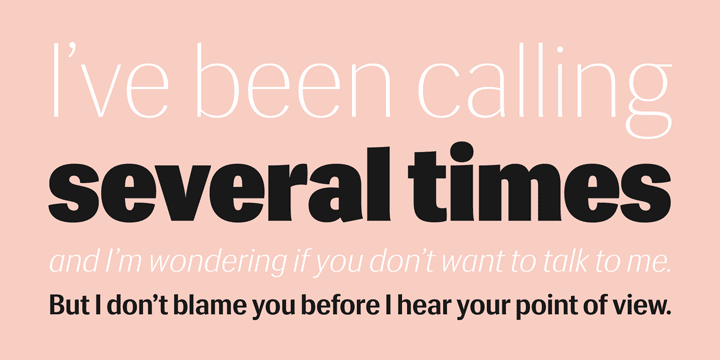 The typeface Siri is a labour of love. A love for a Scandinavian tradition that we try our damnedest to keep evolving. A love for letters, original and bold, practical and beautiful. 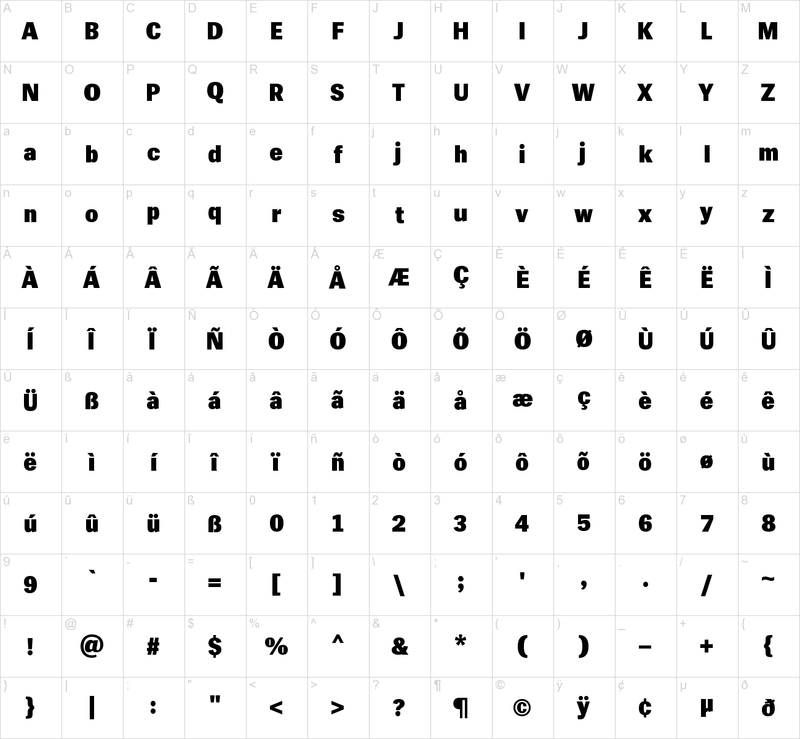 A love for the craft that helps create practical and beautiful typography. With its wide range of 16 styles, useful OpenType-features and four stylistic sets, Siri is well prepared for anything you wish to use it for. 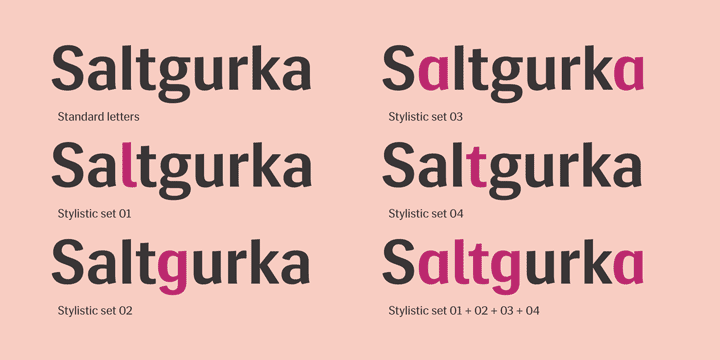 It has great readability, a large x-height, slightly condensed letter forms and a strong identity. These features makes it work over a wide selection of applications. It’s designed to perform well on both screen and print and is tested in both environments during the design process. Siri is a female Nordic name, comprising the words Beauty and Strength. We hope these qualities are well reflected in the typeface. 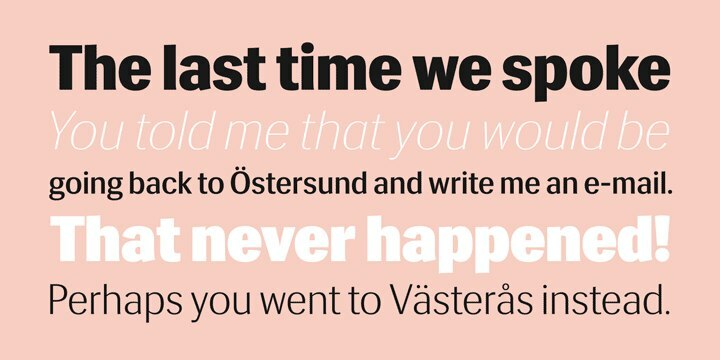 Last but not least, this typeface is also about Görans love for his daughter Siri, born on Valentines day 2011. The typeface obviously pales in comparison, but we can’t sell the kid, so the type will have to make do.